‘Personal Work’ is a widely used term. It’s generally accepted as work done for yourself, without a brief. But it’s more than that - to me it encompasses everything you do (in a professional sense) outside of commissions. It’s not the image at the end, it’s everything that goes into it. So it’s not just a jpeg - it’s a playground. 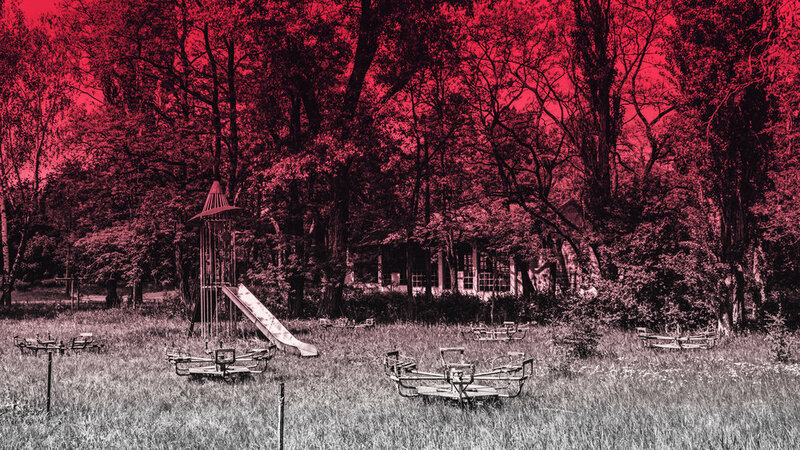 We all have fond memories of playgrounds, right? Playgrounds are important. They help with development in all kinds of ways. You test your limits, you take risks. You fall off stuff. You get up again. They can be fun, and they can be terrifying (which is fun). Just like a playground, in your personal work you have lots of different things to try not to fall off. One thing most people use is a sketchbook. 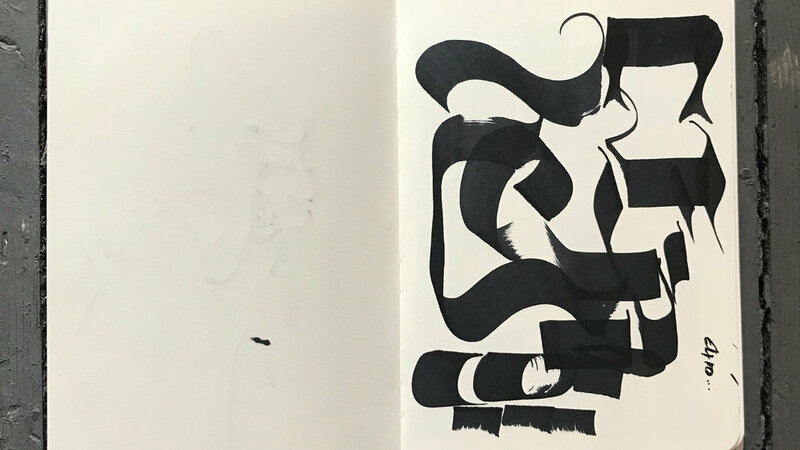 Many artists have incredible sketchbooks - works of art that should really be published. Mine are not like that. Mine are terrible. …So you see my sketchbooks are not all that interesting to leaf through. But that doesn’t undermine their importance to the process. Every mark I make, bad or good, is a piece of the overall puzzle. It’s my way of eking out an idea - making marks, letting bits of my brain fall out as scribbles and scratches. It may not be a nice drawing (or even a drawing) but there is something there that leads, eventually, to an end product. My brain is not wired for detailed sketches. I have always been a bit of a messer - a dreamer through and through. My mind flits like a moth in a room full of lightbulbs, never staying on one for long until it spots another. When I start a sketch I am already thinking of another idea, and this goes on ad infinitum. While this might not make for good sketches, it does lend itself well to the other way I use my playground, and that is making textures. I also take pictures of things with my phone - surfaces I find interesting that I might use later for other things. 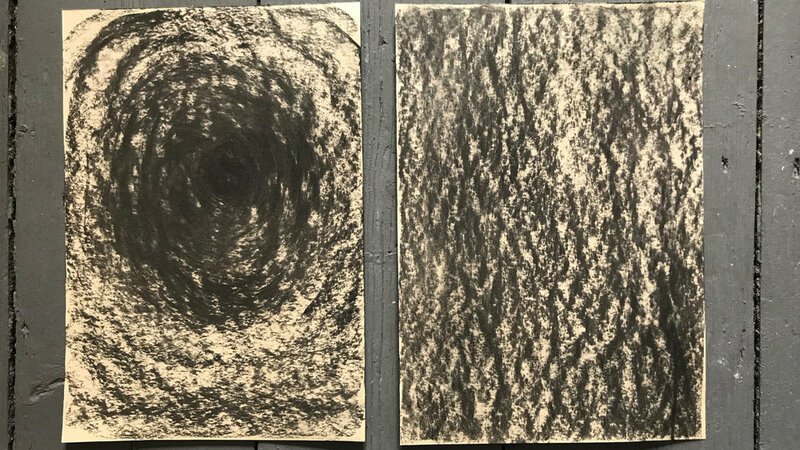 On the below image, the photos on the left are the toilet tiles in my studio building. When I look at them I see planetary surfaces (when I should be focusing on the job at hand…). The two on the right are of a cement mixer outside my brother’s house. My family visit his, everyone is greeting each other with hugs at the door, except me... ‘Where’s Matt? Oh, he’s over there, taking photos of the cement mixer.’ No one is surprised. So it is this messing, dreaming, playing that forms the route to the final image. It is every bit as important (if not more so) as the process of making art that actually looks good. 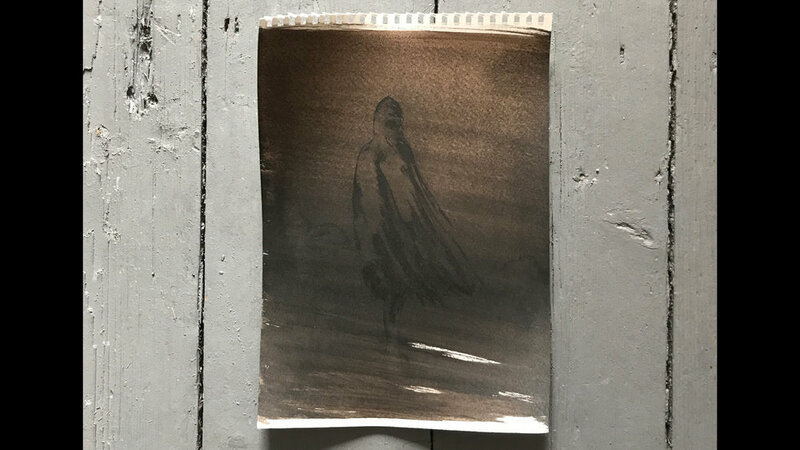 And even at that stage, when I am putting things in place to make a final image, it is still a battle - I wrestle with it, new ideas vying for attention all the time. I always think it’s crap while I’m making it, and it is my attempts to make it not-crap that result in something at the end worth sharing. That is why it’s so important, and why the analogy of the playground is so fitting - it is a process of testing your limits and improving as you go. Nothing has opened more doors for me than my personal work. And here are two examples of that, one of which at time of writing I can’t talk about fully, but I’ll explain later. First - Pan’s Labyrinth. I am a movie and book nut. Really, I’m a story nut, in any medium. One of my favourite films is Guillermo Del Toro’s masterpiece, Pan’s Labyrinth. 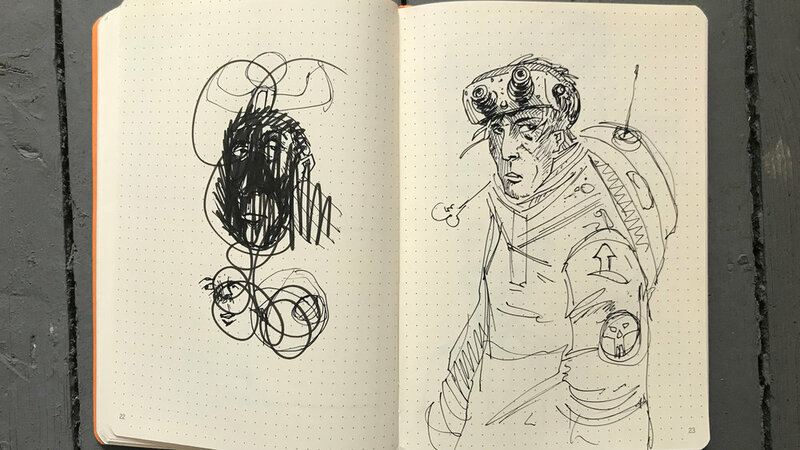 One day, I take out my sketchbook and begin scribbling ideas (above). How would I treat a title on a poster? Not very well according to these - except one of the seemingly-irrelevant ones beside the (oddly quite finished) image of Fauno. A company in Germany called Capelight licensed that art for a special edition BluRay/DVD package and my little bit of fan art was made cannon. There is another example of personal work leading to dream commissions, but in this case I am unable to share exactly what that commission is (hopefully soon). But, it’s still worth seeing the process I think. Again the image was shared a lot, and seen by a lot of people. One of those people was an art director at a major publisher with whom I had worked a few times. And he gave me the opportunity to work on a bucket-list project, now finished and soon to be announced, all on the back of a bit of personal playground wrestling. So there you have it. My personal work is a trial & error conflict that eventually results in an image that opens exciting doors. I get an idea in my head, and the final piece bears little or no resemblance to it. But the entire process helps me push myself in new directions, learn on the go and develop as an artist. Play, mess, screw around. Be curious, test things, let your mind wander. Wrestle, wrangle, fight with it until you’re happy. Keep it lit - a bit of local slang from my hometown in Meath (and probably everywhere in Ireland) - meaning keep going, keep fighting and don’t give up (even if it’s cack). You never know what the work will lead to. I was trying to think of a useful post for the last couple of weeks. One idea that persistently held its hand up for attention was some kind of guide to the first few years of an illustration career, from someone who went through them not all that long ago. I’m in my 11th year now, but the memories of the struggle are still fresh. So I hope this might be of some help to someone out there who has either taken the plunge, or plans to. Firstly, I should maybe explain my own path to said plunge. I will keep it short, otherwise this will turn into an epic autobiography and no one wants that. In a nutshell, I didn’t realise I wanted to be an illustrator until my late 20s (just about to turn 40 now). I always loved drawing but I didn’t know what being an illustrator entailed (I thought it was either political cartoons or storyboards) - but after a few years of dipping my toe in creative tasks (in jobs that didn’t necessarily require them - thanks to an understanding boss) I knew I wanted to give it a go. I emailed people - illustrators, ad agencies, designers - and asked (politely) how to do it. There was no easy guide - it was just a case of ‘go for it’. I quit my job and moved home to Ireland (from London) just as the global recession hit in 2008. There was very little work around as a result, especially for a newbie with maybe some raw talent, but no real quality in the portfolio. It didn’t matter - I was all in. Slowly but surely, one job lead to another (infrequently). 1) Don’t change the hunger. That belligerent, stubborn refusal to cave and the desire to make drawing your living is all-important. The freelance illustration life rewards staying power. You will need grit. 5) Enjoy it. Learning the above should be pleasurable. If it’s not, you may be on the wrong path. There will be numerous opportunities to beat yourself up - there is no point in adding ah-jaysus-do-I-have-to stress on top of that. Doing personal work, learning new skills, researching the work of past (and present) masters is the fun part. Beats an all-nighter to make a deadline any day. 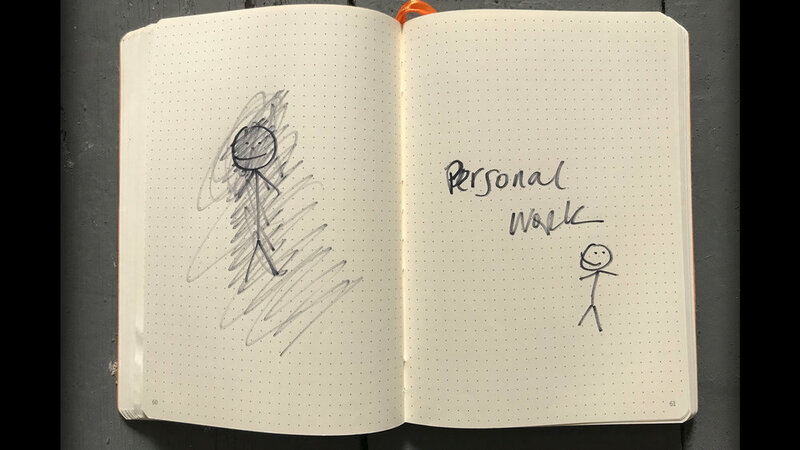 6) Make time for personal work. This is paramount. For one thing, it’s more fun than client work (sorry clients). For another, it’s the playground you learn most in. It will be better work because you are enjoying it, it’s from your own head and you’re learning while doing it. Potential clients love to see it, and nothing has opened more doors for me than personal work. 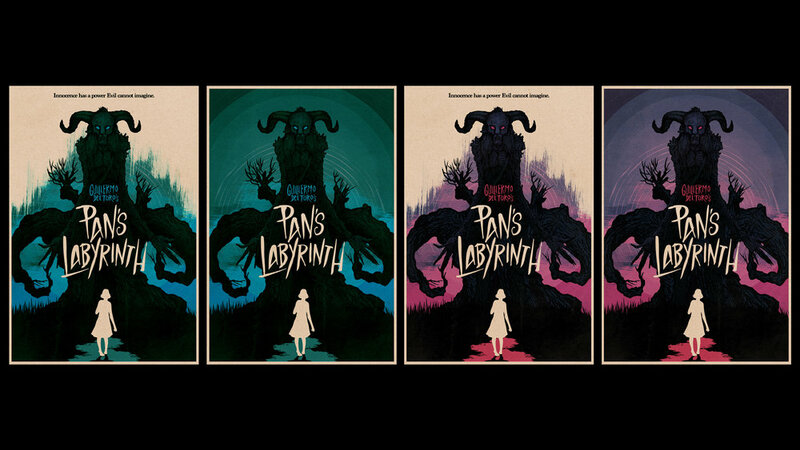 On nearly every job I get these days the Art Director cites my Pan’s Labyrinth poster as a reference. I made that for fun years ago. Now it’s on a special edition Blu-Ray cover and lead directly to pretty much all of my current work. It is the most productive use of your time. 7) Don’t worry about style. This debate has been raging probably forever, and will never abate. Yes, you need a discernible voice to set you apart from the other illustrators - aka ‘style’. Having a jumble of all sorts in your portfolio is not a good look because clients need to know what they get when they hire you. For example I have a pseudonym for more cartoony work (Ignatius Fitzpatrick) because if I mixed that in with my regular stuff it would sow confusion as to what it is I’ll make for a particular job. But it takes time and experimentation to find that voice. It will come - but in the meantime just make stuff because you think it looks nice. Play. Who knows where the work will end up, but it will be fun getting there. 8) Be nice and network. I think maybe ‘Network’ can be a horrible word when used as a verb. It reeks of manipulation, so I don’t mean it like that. I mean that if you are nice, meet your deadlines and take direction well you will build up a collection of clients who will use you again and again. This also applies to fellow artists, both home and abroad. I have made many e-friends online that I’ve never met in person who are also illustrators and their feedback, advice and knowledge of the industry is invaluable. They’re also in the same boat, so it’s nice to talk to people who understand what you’re going through. Also you can geek out on things like typography or textures. 9) Look after yourself. Really. Those first years are very, very stressful. There are moments of extreme self-doubt, even depression. Much like acting (my brother is an actor so I’m well aware of the parallels), you’re putting your inner-self on display and opening it up to rejection. It can cut deep if you’re not careful. I’ve spoken about mental health in illustration before (here) but essentially just be aware that while you need grit, you also need to be kind to yourself. Exercise. Do stuff outside of illustration or creativity in general. Work hard, but make time for just hanging out with family and friends. This will benefit your work directly. 10) Take your time. Don’t fret over not ‘making it’. Just concentrate on improving (and enjoying) your work and the rest will follow, eventually. Don’t worry about how many followers you have (another thing I wrote about, for The AOI, here) or why another artist is getting all the plaudits or why you’re not as good as someone else. There will always be better artists, but none of them are you. Keep the head down and do your own thing. It’s taken 24 days of 2019 to write my first blog post, but only because I have been busy finishing off the jobs that started just before Christmas. It was the usual - some DVD work and some book covers, one of which was huge fun (dinosaurs and samurai swords - give me that brief any day of the week) and more on what will be my biggest, most exciting commission of my ten-year career. I still can’t talk about it, but I’m hoping they announce soon (the product itself won’t be out until late Autumn). A dream come true. First thing that has been on my mind in these first fresh weeks of the year is that I need to give my personal work some more fiscal viability. 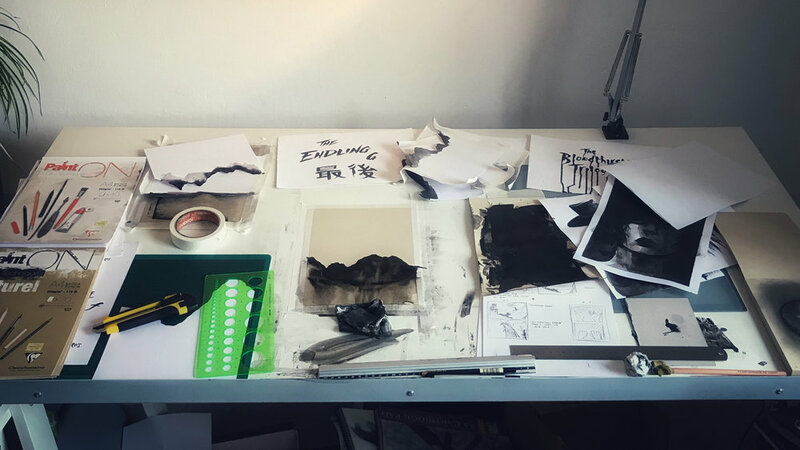 I am a huge proponent of personal work as an illustrator - I am always shouting from the rooftops that it is an essential use of your time as a pro (or burgeoning pro) and it has always opened more doors for me than anything else. And it’s come to my immediate attention that I need to do even more of it, between experimenting with art or making music as Our Wanderer or anything else I might find interesting. I need to do more of it to keep myself sane. Time being creative for myself as opposed to following a brief (while I enjoy that challenge) is of upmost importance for my head. But, I have to earn a crust and at the moment I will always sacrifice time on my own stuff for pro jobs. I know this is a ‘poor-me’ scenario - I realise I am lucky to have the pro jobs. But what if I could make the personal work more viable by earning a little from it? So, I have the print shop. Me and my print shop have always had a difficult relationship. 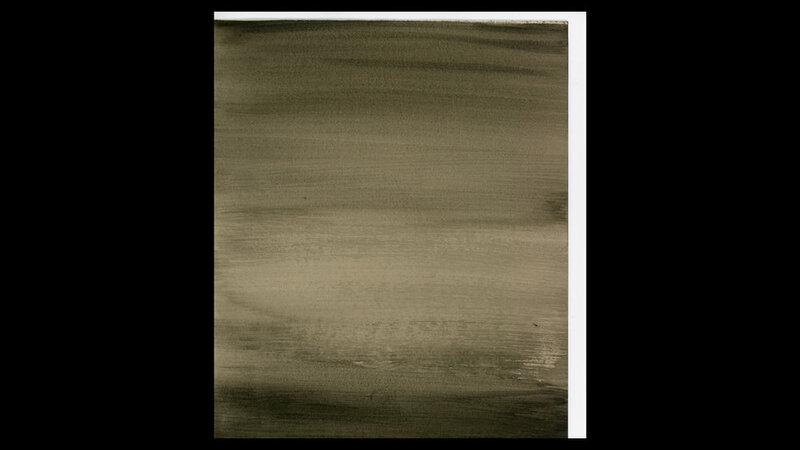 For one, it’s giclee rather than screen print, and the latter is by far the favourite of collectors. For another, I found the printing & shipping aspect hard to manage - but I’ve solved that by going with a great new Irish fulfilment company called Print Beast. And, so far, I’m not sure I’ve made art that is appealing enough to sell more than a couple of copies. It’s important to me to make the prints for myself, expressively, and not cow-tow to trends or second guess potential customers. But I need to find a balance. 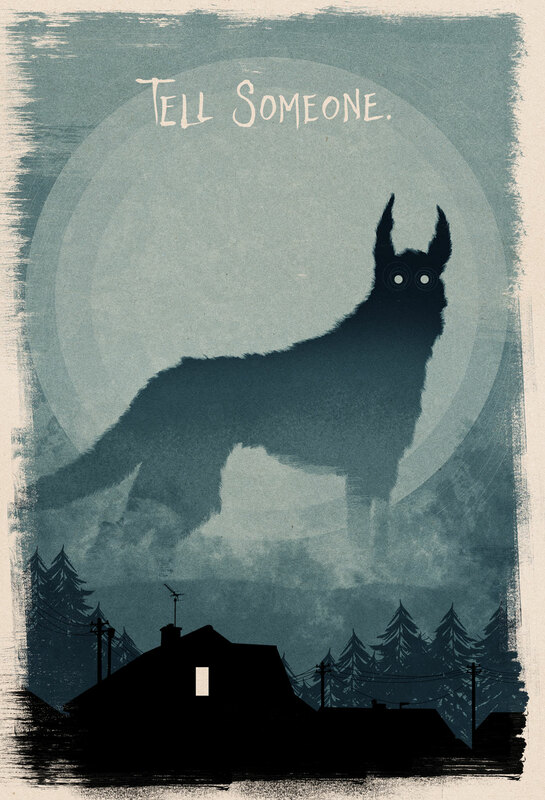 So my idea is this - I’m going to make a load of personal work to sell as prints, try to make it appealing to people (ie not all vintage sci-fi) while still enjoying, and expressing myself. Some of it might be crap, one or two might be cool but I am going to make sure I enjoy making all of it. Like this blog, it’ll be my little corner of the internet to do whatever the f*** I want. Bliss. So with that in mind, I thought I might start doing mock gig posters. A little bit like I did for Whelans all those years ago. That job was so much fun - no brief, make anything I want, combine typography and art.. Perfect, really. Here’s the first one, and wouldn’t you know - it’s vintage sci-fi. I promise it won’t all be. Leading on from this, I’ve also decided to spend way more time making crap. By that I mean, make stuff free of worrying about other people seeing it - full experimentation. Sitting at the drawing desk with whatever materials are close by and just seeing what happens. I tend to go through periods of this and then let it lapse. But it’s so important. The amazing Jeffrey Alan Love wrote a great Twitter thread about it here. I am not one of those artists with amazing-looking sketchbooks. Mine are awful. And I think they’re awful because I try to make them good, and then get annoyed when they aren’t. So I am determined to abandon any notions of making something great and just make.. crap. Very constructive, enjoyable crap though. Being honest. I’m quite bored of how I draw. Certainly with characters. I’d like to play around and see if I can some up with something new. Speaking of constructive mistakes, I found this article about the Uruguayan artist Guido Iafigliola (aka Glitchdo) , courtesy of WeTransfer, really interesting and am delighted to have discovered his work. Really, really inspiring. I mentioned in my last post that I wanted my work & career to evolve a little this year. One path that’s opening up is actually one I’ve been dipping my toe in since I started freelancing - story development for films. Being able to dream up stories, and make art, is a good combination for this. Over the years I’ve been in and around it, became friends with people who produce/direct for real and had one or two of my ideas touted as possibilities. But now things are actually moving up a gear - I’ve learned about whats needed (from screenplay-construction to pitch decks) and I’m ambling my way into those new waters, especially, hopefully, with Voidonauts. Watch this space (but bear in mind these things move glacially-slow). Music - I am obsessed with Go Go Penguin. A piano, a double bass and a drum kit make this? Holy moly. Film - Last night I watched Don’t Breath. I liked it - great tension, great character arcs (it plays with your sympathies). It struck me that Stephen Lang would have made a great Old Man Logan. Books - Currently reading Dune Messiah. 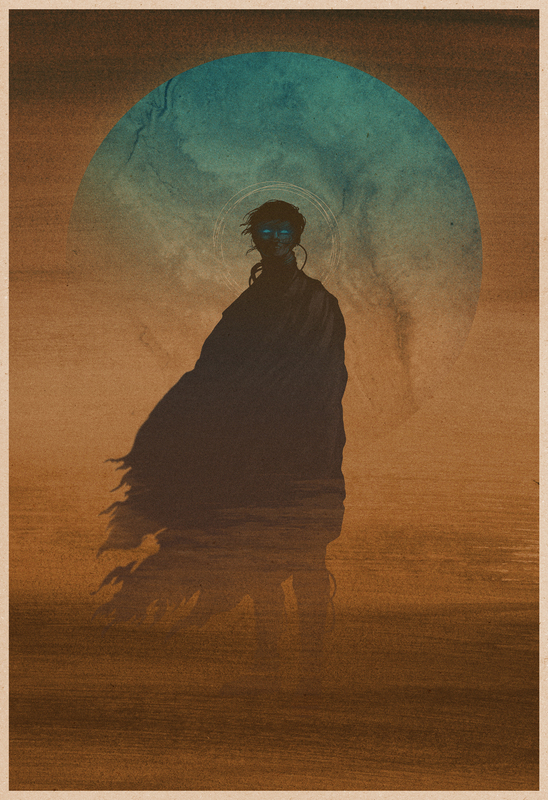 Dune is one of my favourite books but shamefully I had never read the sequels - righting that wrong now. Next up, Children of Dune and then on to Ursula le Guin - Left Hand of Darkness & The Dispossessed (another two I should have read years ago but never did). In the business of commercial art there are several black holes into which your self-esteem, and, by extension, your mental health, can disappear. Really these apply to any creative enterprise - drawing, acting, singing.. whatever.. But I’ll focus on my own area - illustration. Firstly, there is the soul-bearing aspect of it. You are putting your most personal inner-you (whether it’s personal work or commissioned, they still come from the same place) on display. And if that display meets indifference, or criticism, it can hurt on a deep level. Over the years, as you gain experience, you can become battle-hardened and better able to roll with the punches. You might even agree with the critics. But the fact is you are exposing a very soft spot to the lances of opinion, and so you need to develop some armour to cope (more on that in a minute). This is exasperated these days by the way in which we market ourselves - ie social media. Social media has given us something our predecessors didn’t have - a fan base outside of illustration enthusiasts. We are reaching a much wider array of people. But what happens is (sometimes) we can lose focus as to the real target, which is people who can pay you for your art, and instead put value on how many people like our work, regardless of whether they will help you put food on the table. If people don’t respond to your work, it can send in some very dark clouds. Wondering why you only have so many followers, or why a post got no traction, is a rough (and pointless) sea to sail on. Second, there is the Horrendous First Few Years®. There are exceptions, but for most people, starting out in the world of illustration is incredibly hard. Jobs are few and far between, money is scarce and you are surrounded (bombarded even) by people ‘more successful’ than you (I put that in quotes because really they’re just further down the road.. those are air quotes). It’s so easy to feel worthless in this formative time. You need a large reserve of grit to get through it. On a personal level, I happened to get married and have kids right at the start of my freelance career. Right when I was only getting a job every few months, and not bringing any money in. It was bleak. There were times when, even if I did get a job, I didn’t get paid when I was supposed to and I had to go home to say ’sorry I can’t pay that bill after all’. I have never felt worse in my life. I felt like Frodo when he puts on the ring in the movies, and then gets stabbed by the ring wraith. Countless times I was going to pack it in, but thankfully I stayed the course (with the help of my endlessly patient wife). Being honest, there were many times I felt completely and utterly useless. But under all that black there was one little burning ember: I wanted - no, had to succeed at it, because I knew deep down I had the chops. To not do it would be a waste of the time and patience and belief of everybody close to me. I kept going. Thirdly, and this is really very unfortunate, even when jobs are regular and you’re making a decent living, all of the above can still apply. You might get bored of, or even hate, your own art, or your audience might get bored of/hate it. You still look at others enviously (human nature I think). You still chase money and suffer at the hands of 60-90 day payment runs and stone-walling accounts departments. The pitfalls are there, regardless. Exercise. Honestly. I have done various forms of it over the years (without losing any weight, but hey ho), but the mainstay for me is walking. I might be deep in thought for the whole thing, or not thinking of anything at all. But it (or any form of exercise) get the cogs turning, juices flowing and I guarantee you will find yourself able to deal with stress better if you do it. Make it a fundamental part of your working day - it’s more important, and productive, than checking emails. Mediate. I thought meditation was one thing, when it’s entirely another. It’s not sitting cross-legged Guru-style and saying ‘Om’ a lot. It’s just a way to learn to let thoughts happen and not battle them. You learn to switch your focus from white-noise thoughts onto just.. being. When I do it (not every day I admit) I don’t float on a cloud of lotus flowers back to my desk filled with the spirit of nature. I’m just able to get on with it. I don’t procrastinate, I just do stuff. When I meditate for 10 minutes, I am twice as productive as when I don’t. I learned from the Headspace app, but I’m sure there are more out there. Prioritise. By which I mean, place importance on the proper stuff. Not getting new followers, or how many people like your last post. Not even scoring a dream client. Place it on the good things in life like your mates, family.. then on making better work, and enjoying that process. Take time to fill your head up with cool stuff, because that’s the well you need to draw from. Go to the cinema in the daytime without guilt. Read more than you think is humanly possible. Do something outside of the creative world. Don’t yearn to be as good as someone else at drawing, yearn to feel better about yourself in every aspect of life and that way you can deal with it when life proves itself, as ever, not-always-good. Talk to people. This is so important. If you are feeling bad about yourself - really bad - you need to share it with someone you trust. Never bottle it up, ever. These things will give you the armour I mentioned earlier. Oh. One final admission, from a personal point of view. When I was younger, I was a bit of a party animal. In fact, it frequently got out of control. Thankfully I managed to avoid the slippery slope, and now I’m a confirmed lightweight. Focusing on achieving my goals kept me away from the slope and the black dog at the bottom. So if you’re young, party away - enjoy yourself. Because eventually you’ll need to decide between that and knuckling down to work. You can still party, but it takes days not hours to get over it. And it’s easier to make good work with a clear head than a fuzzy one. I have become a fuddy duddy. But a happy one (most of the time). For help with your illustration career, The Association of Illustrators are a great UK institution. Also follow The Illustration Dept. on Twitter for helpful advice, inspiration and a general boost if you’re struggling.